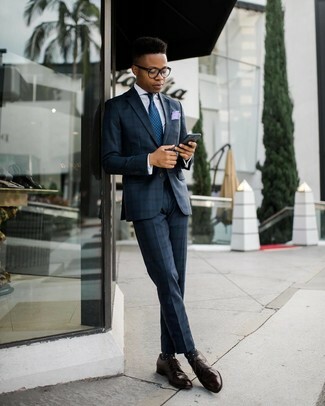 Dress in a navy plaid suit and a white dress shirt for a sharp, fashionable look. 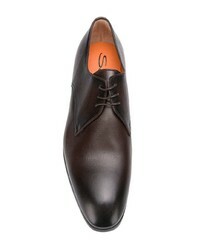 Add a sportier feel to your ensemble with Santoni Lace Up Derby Shoes from farfetch.com. For a nothing less than incredibly stylish outfit, team a navy cardigan with olive dress pants. For something more on the daring side to round off this outfit, throw in a pair of Santoni Lace Up Derby Shoes from farfetch.com. 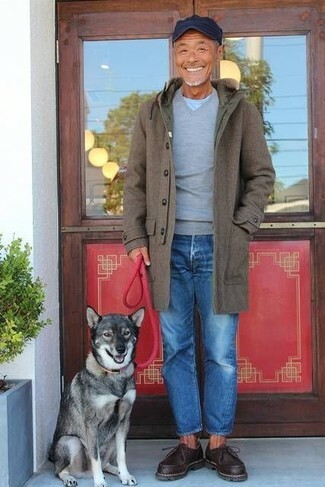 For a casually elegant outfit, pair a grey plaid overcoat with black chinos — these items fit perfectly well together. 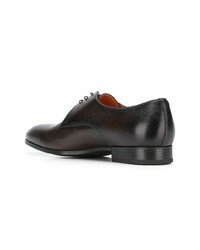 Wearing a pair of Santoni Lace Up Derby Shoes from farfetch.com is an easy way to add extra flair to your look. This pairing of an olive overcoat and blue jeans is very easy to put together without a second thought, helping you look on-trend and ready for anything without spending too much time going through your closet. Why not introduce Santoni Lace Up Derby Shoes to the mix for an added touch of style? Team a navy suit with a white dress shirt to ooze class and sophistication. Want to go easy on the shoe front? 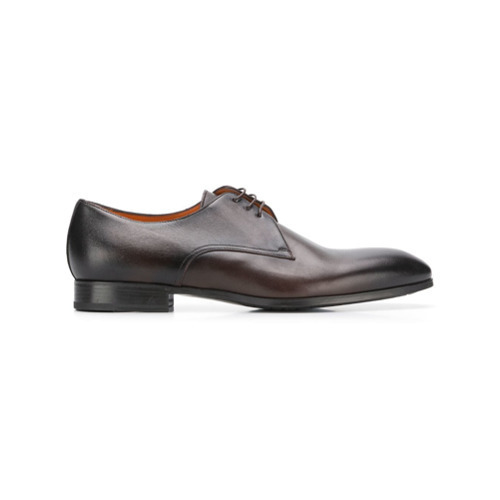 Grab a pair of Santoni dark brown leather derby shoes for the day. 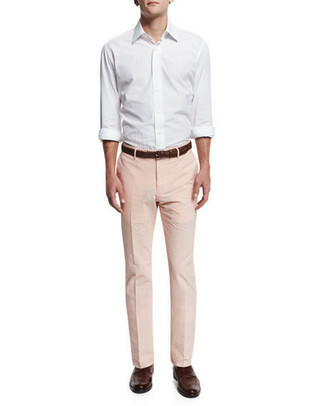 Pair a white long sleeve shirt with pink dress pants for a sharp, fashionable look. 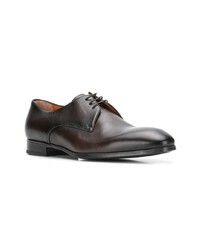 Finish off with dark brown leather derby shoes and off you go looking great. 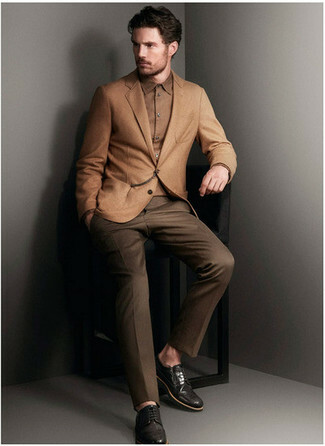 Consider wearing a brown wool blazer and dark brown dress pants to ooze class and sophistication. For something more on the daring side to complete this ensemble, grab a pair of Santoni Lace Up Derby Shoes from farfetch.com. For a smart casual look, reach for a charcoal blazer and beige chinos — these two pieces fit beautifully together. Channel your inner Ryan Gosling and go for a pair of Santoni Lace Up Derby Shoes to class up your ensemble. Wear an olive blazer with black dress pants for a sharp, fashionable look. 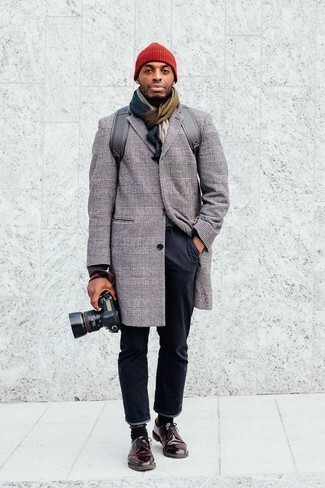 For something more on the daring side to round off this look, rock a pair of Santoni dark brown leather derby shoes.